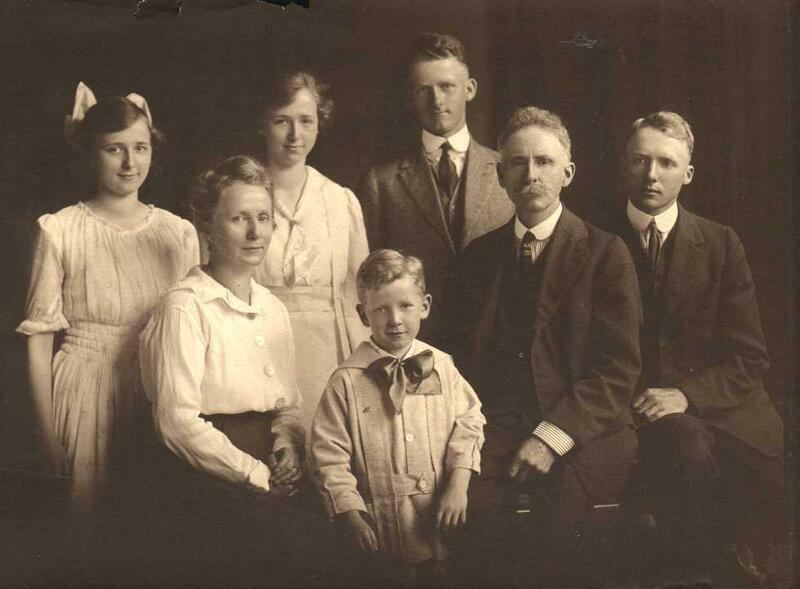 L to R: Dorothy, Hannah, Evelyn, William., Kenneth, Peter Wm., Thomas. History of Burlington, WI. People and events. Family History (Genealogy)- Be sure to use my SEARCH feature. Family history is an interesting hobby that can become exciting when your search for a missing ancestor is successful. Family lines of special interest to me are those of my Grandparents Peter and Hannah Ralston and Louis and Clara Belden. Click on the web page links to the left to see their ancestors. The Immigrant Ship passenger lists for my ancestors may be viewed by clicking on My Ship Lists. Other ship passenger lists are there also. Look at the Argyle-Caledonia page for help if you have ancestors who lived in those communities. © 2007-2017 Harold A. Ralston, Racine, Wisconsin, USA. Design and material may be copied with web page author's permission. E Mail Please contact me with any information or questions about this page.